The problem is that the video load takes time, causing a black screen or the last frame to stay. 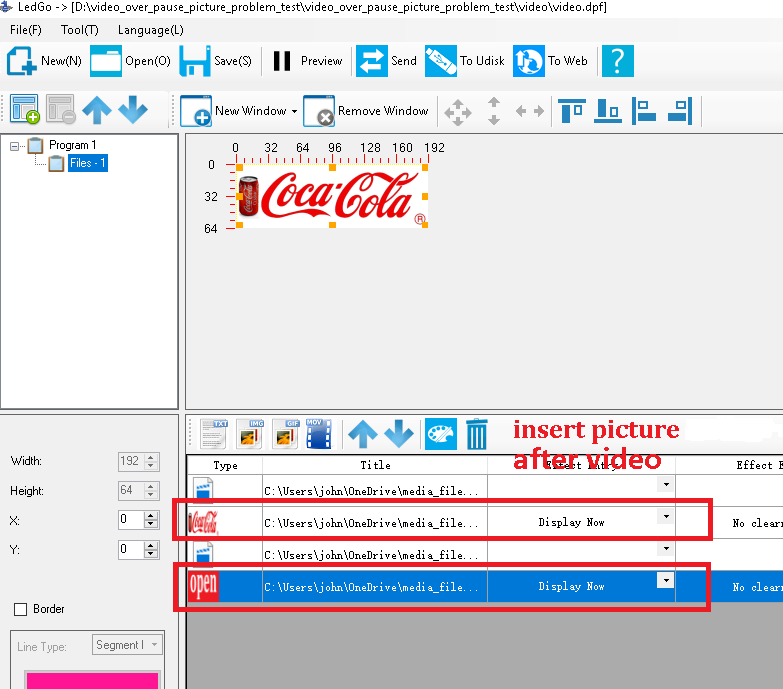 There is a way to solve it,after video insert a picture in same files window, the picture can be a black picture or your LOGO, can eliminate the screen stay. the following link is a example program,download and unzip it,then open by LEDGO software,send the program to udisk,test it. U disk is USB Flash drive,an external flash drive, small enough to carry on a key ring, that can be used with any computer that has a USB port. Now led sign use U disk to upload the program,Note that it is “upload”, not “store”.